and slothful, finger pressure is used to increase digestive fire and restore vigor. (press and rub). 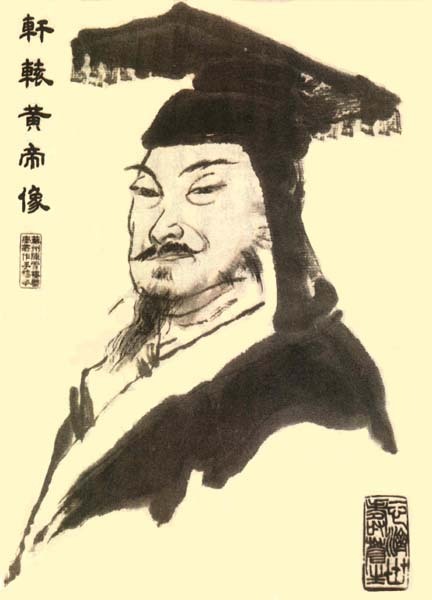 By the 5th century, it had at the Imperial College of Medicine in Xian, the ancient capital of the Tang Dynasty (later, during the Ming Dynasty [1368 - 1644], the term, Tuina (push and grasp), was added. 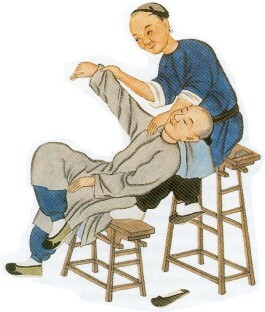 Another term Dian Xue (press the acupoint) was used to describe acupressure technique and was related to secret knowledge of many martial arts' schools of use of acupoint for fighting purposes. Same acupoints that were used by martial artists to defeat their opponent (with specific application technique), for healing purpose technique was of course different. Later these skills were spread to neighbour Japan and Korea. In Japan this massage was called Anma and in Korea -- Amma Therapy, As an example: Japanese Shiatsu is modern combination of traditional Chinese Anmo massage, abdominal palpation, Dian Xue, Do Yin exercises and Western Anatomy and Physiology. The combidnation is presented in a form that would be today called neuromuscular massage. In now days Chinese Bodywork Tuina/Anmo is a doctoral discipline in China that requires 5-6 years of education and medical training. Depending on the particular specialization Tuina become more focused on traumatic injury and pediatric care, while Anmo has become directed mainly towards the treatment of internal disease. Practitioner's diagnostic skills were incorporated into the Four examinations: Looking, Asking, Listening/Smelling and Touching. 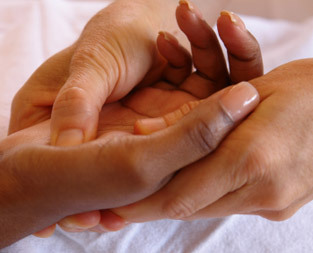 Treatment includes an exceptionally wide range of techniques, through herbs, diet, acupuncture, and moxibustion, therapeutical massage and bodywork, exercise like Qi Gong and Tai Ji and mental discipline. But keystone of the system -- understanding how to live one's life skillfully to avoid the common degenerative diseases which rob life of its joy. The prescription for a long and happy life was clear, and included knowledgable control of diet, appropriate exercise, meditation, adequate rest, moderation in all things and regular bodywork. Most of the times I teach patients simple self massage technique as well as homework. Such knowledge can help people to deal with often chronic problems of their health much better and being able to enjoy life more.